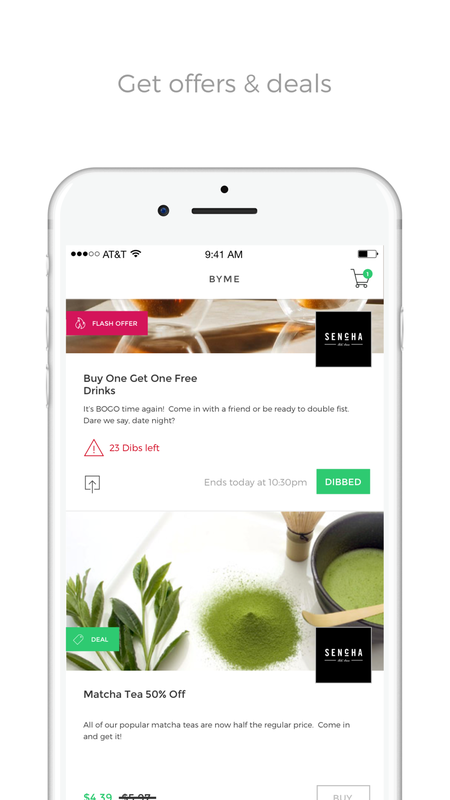 Skip the line, save more, buy better with ByME on your phone. Wouldn't it be great to have ONE app that brings you all of the local deals and then lets you pay directly within the app. Local discovery & super savings put together. Want to get the best deals in town? It's only on ByME. We use ACH. We use extra protection. iOS users can use Touch ID for extra security! Skip the line. pay in advance or in the store with your phone. Use the ASAP mode when you are at the store location for INSTANT purchasing.